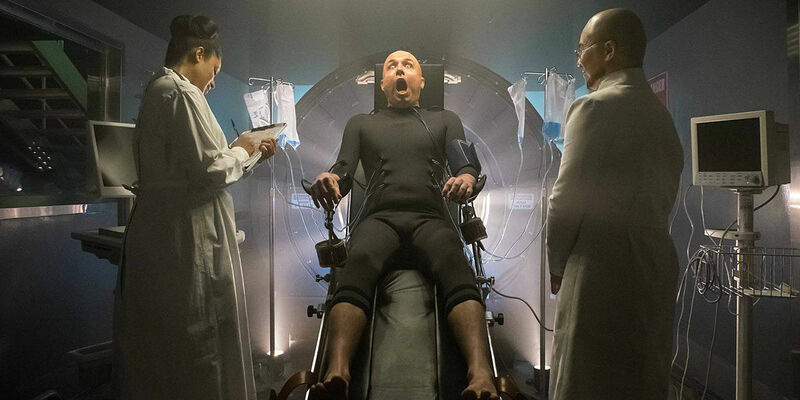 Gotham fans are anxiously awaiting to see how season 2 will wrap up, and while the Azrael storyline may have ended a bit prematurely last week, there are still plenty of dangling threads for the show to tie up in its last pair of episodes. In particular, all narrative roads are leading back to Hugo Strange (B.D. Wong) and the villains he's creating in Indian Hill, setting the stage for an explosive finale that could blow the mythology of Gotham wide open. However, before we get to the end of season 2, there's still the matter of this season's penultimate episode. So let's discuss this week's new episode, "A Legion of Horribles". With Azrael's death, it looks like the last vestiges of the Order of St. Dumas storyline have been swept away. However, Hugo Strange and his Indian Hill experiments look like they are paving the way for a proper introduction for the comics' Court of Owls. Why exactly the secret society is so keen on cracking the code to immortality still remains a mystery, but the possibilities of bringing such a key part of Batman mythology to the show are exciting, even if they have felt inevitable for a while. 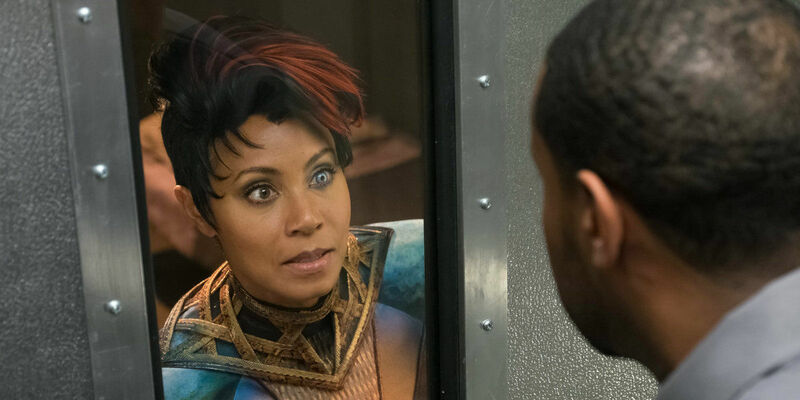 So too has the return of Jada Pinkett Smith as Fish Mooney, a character who proved central to season 1's storyline despite her divisiveness among fans. Mooney's return -- facilitated by merging her DNA with that of cuttlefish, natch -- is incredibly underwhelming this week, as she doesn't do a whole lot other than discover newfound powers of persuasion. The explanation for why Fish is the first subject to emerge with her memory intact was also lackluster at best, and with Pinkett Smith's distinct performance style as the character, her return to the show will likely split fans just as much as she did during her initial run. With any luck, her reappearance will be short-lived but feature better closure to her storyline than the season 1 finale. 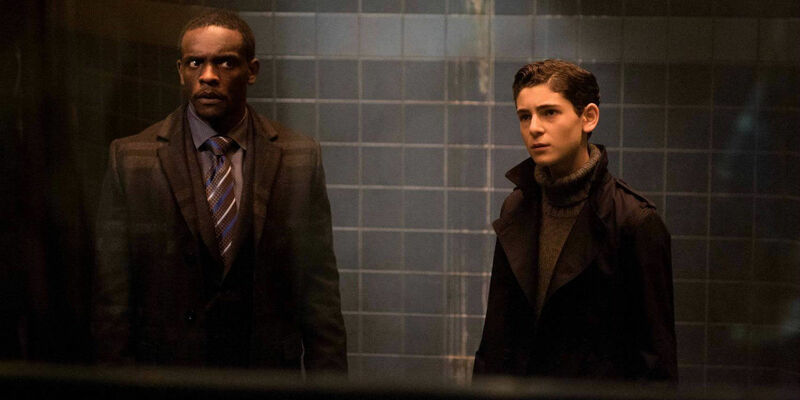 Just as fans get their first glimpse at Clayface (Brian McManamon) -- as it turns out, last episode more likely featured a tease of Killer Croc -- Bruce (David Mazouz) and company launch a rescue operation to save Selina (Camren Bicondova), who remains trapped in Arkham. The future Batman's plan to inflitrate Arkham with the help of both Lucius (Chris Chalke) and Gordon (Ben McKenzie) may have been somewhat half-baked, but he continues to show the boldness and leadership skill he'll need as the Dark Knight. Alfred (Sean Pertwee) says as much during a heartfelt chat about how Bruce embodies the same strength and moral fiber as his father. Scenes like this really bring home the great chemistry between this version of Bruce and Alfred's dynamic, and the strength of both actors. Likewise, Mazouz gets an even more captivating scene with Wong, as Bruce and Hugo Strange engage in a game of wits. Ultimately, Bruce essentially gets the confirmation he needs that Strange is behind the Waynes' deaths, but of course, the boy is ill-equipped to outsmart Strange as this stage. By episode's end, Lucis and Bruce are trapped by in a very supervillainy situation by Nygma (Cory Michael Smith), who is working with Strange and a name and a costume away from going full Riddler. The scene is even permeated by green to underscore that fact. Sidenote: Nygma addressing Bruce as "turtleneck" was a true chuckle-worth moment, as the character has had an affinity for the style at least since Tim Burton's Batman. Now that Bullock -- who is a blast to watch as acting captain of the GCPD -- is sending a strike team into Arkham to save everyone, it will be interesting to see how poorly this showdown will go. After all, Arkham isn't only home to Strange and a ton of inmates but also Nygma, Firefly (Michelle Veintimilla), Fish Mooney and Clayface, who has already disguised himself as Gordon. Considering how much focus this season has placed on the emergence of all these villains, it seems like a mass breakout may be in order to truly push Gotham's streets into absolute chaos. While most of the other "good" characters launch a plan to sneak into Indian Hill, Selina remains trapped for the entire episode. This week's opens with Firefly still mid-attack on the future Catwoman, and of course, Selina dodges her fiery blasts with ease. Of all the villains Gotham has introduced thus far, Bicondova's Catwoman feels the truest to her comic book counterpart, as her performance conveys the street smarts, wavering moral compass and resourcefulness fans expect from her. Case in point, Selina manages to first overpower Firefly in a bit of combat that was disappointingly kept offscreen, and once she realizes that her friend-turned-enemy is fire-proof, Selina convinces Firefly to spare her life. Playing the servant to the self-professed goddess of fire is a smart move, at least for the time being. Selina's storyline this week may have been somewhat slight, but it still felt entertaining enough to keep both characters part of the action ahead of the season finale. The one weak link? Selina's line about how someone sure "scrambled [Bridgit's] eggs," in reference to Firefly's current state. Really, Gotham? You can do better than that. Let's hope the show proves us right next week. What did you think of "A Legion of Horribles"? Share your thoughts on the episode in the comments section. Gotham returns with "Transference" next Monday at 8pm on FOX.